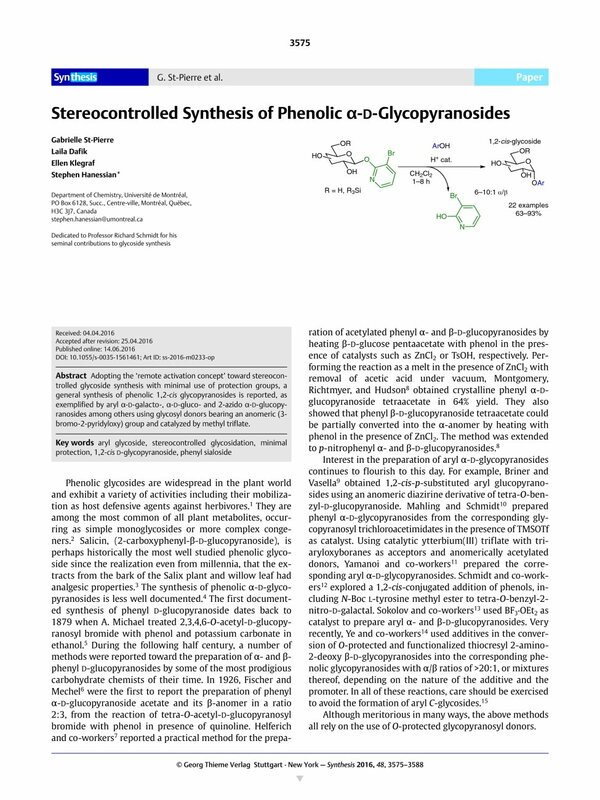 Adopting the ‘remote activation concept’ toward stereocontrolled glycoside synthesis with minimal use of protection groups, a general synthesis of phenolic 1,2-cis glycopyranosides is reported, as exemplified by aryl α-d-galacto-, α-d-gluco- and 2-azido α-d-glucopyranosides among others using glycosyl donors bearing an anomeric (3-bromo-2-pyridyloxy) group and catalyzed by methyl triflate. Supporting information for this article is available online at http://dx.doi.org/10.1055/s-0035-1561461. 34 See the Supporting Information.